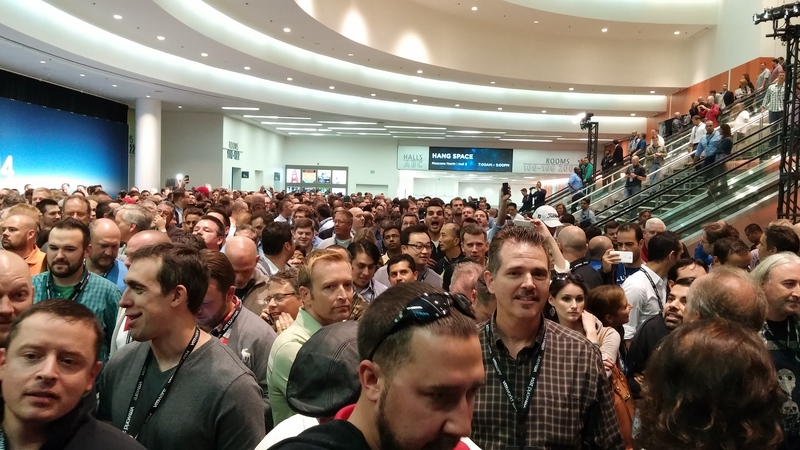 This was my 3rd VMworld. I had a great time this year. The Opening Act, vBrownags and regular sessions were great this year. I went to a lot of vendor parties and had lots of fun. I stepped out of my comfort zone and talked to people I didn’t know. 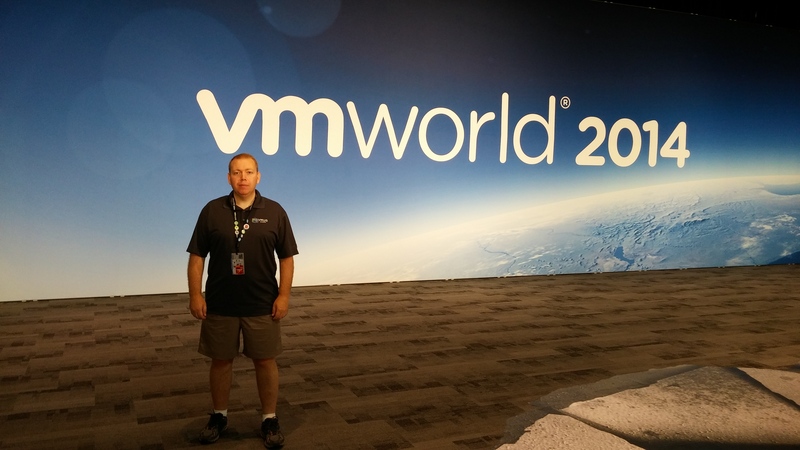 It is always a great opportunity to attend VMworld and I am grateful that the company I work for sent me this year. Rebranding – I guess Vmware marketing had to justify there jobs, so they went on a renaming spree. It was the joke of the conference. 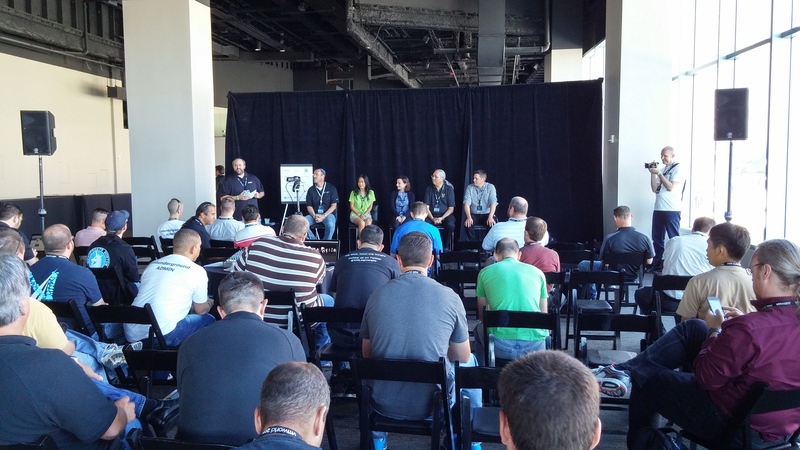 The Technical Deep Dive Session on VVOLS was the most attended at Vmworld. They recorded it and posted it online for everyone to watch. Using VMware NSX, network properties will now be vMotioned as well when using long distance vMotion. Hands On Lab in a Box – Customers, partners and VMware employees can use the Hands-On Labs offered by VMware for free during for example partner organized events. See it as Lab as a Service. Project Fargo (VMFork) combined with CloudVolumes can create VDI VM’s in seconds. The combination of Project Fargo + CloudVolumes is internally called Project Meteor. VMware Integrated OpenStack, a new virtual appliance for simple deployment of OpenStack integrated with vSphere. 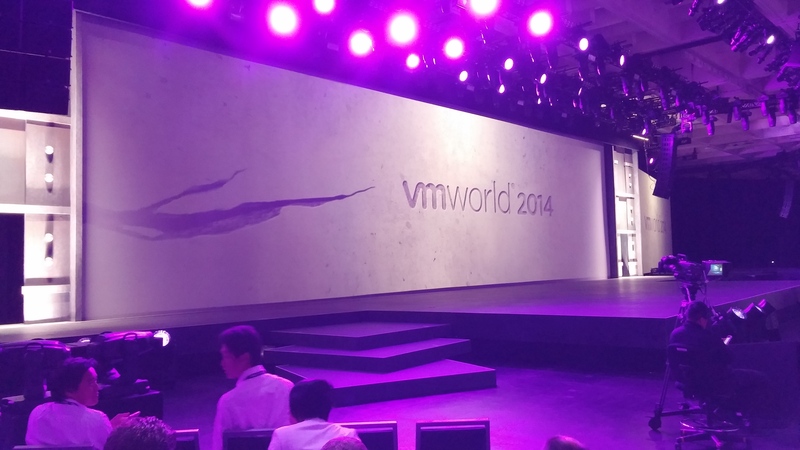 Lastly, VMware already announced that VMworld 2015 will be Aug 30 -Sept 3 in San Francisco. 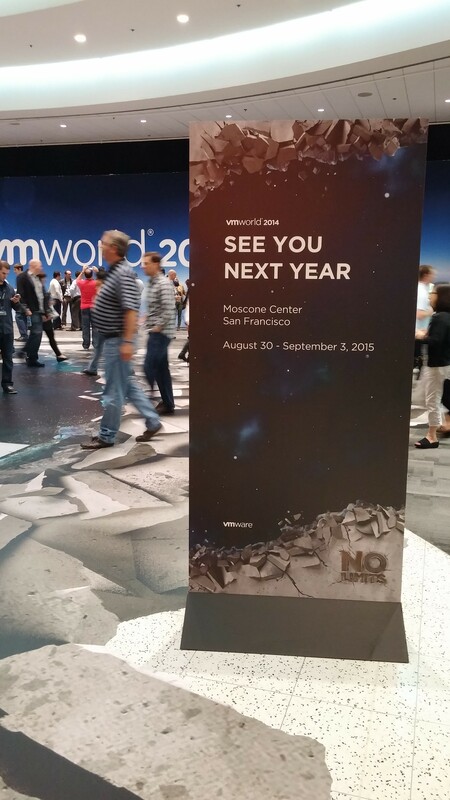 After 3 years in a row, I really wish VMworld was going to be at a different location. No matter where it is, I am always excited to go and can’t wait till next year. After all the partying that I did Tuesday evening, it was hard for me to getup and get going. 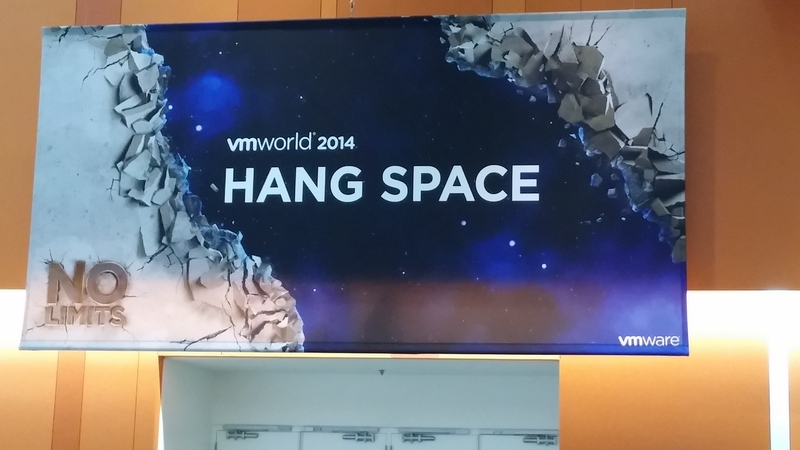 Then I hung out in the Hang Space a little while before the VMUG Leader Lunch. 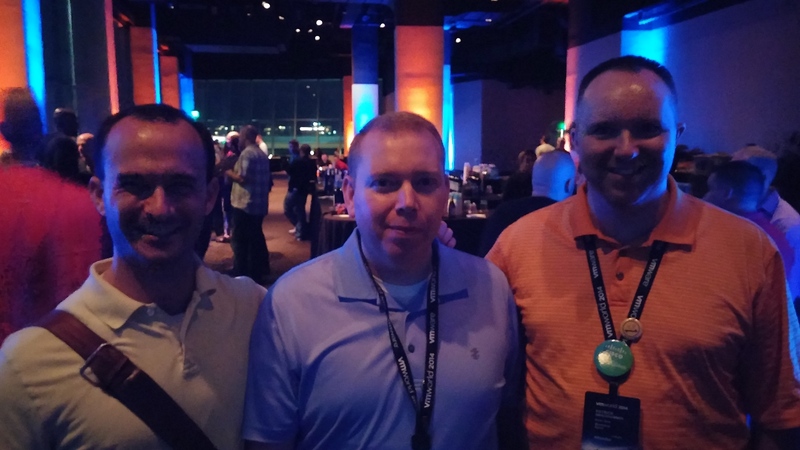 A couple months ago I became one of the leaders of the St Louis VMUG, so I had the opportunity to attend the VMUG Leader Luncheon. They provided us with a great lunch and a small gift bag. Awards were passed out to various leaders. VMware’s top brass was in attendance for Q&A. Pat Gelsinger CEO, Ben Faithi CTO, and Raghu Raghuram EVP SDDC sat on stage to answer questions. 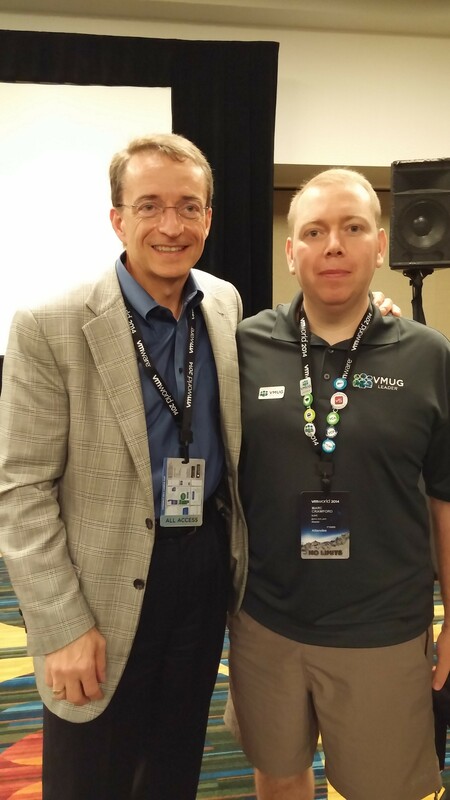 After the Q&A was over I was able to get a picture with Pat Gelsinger. This was the highlight of my day. 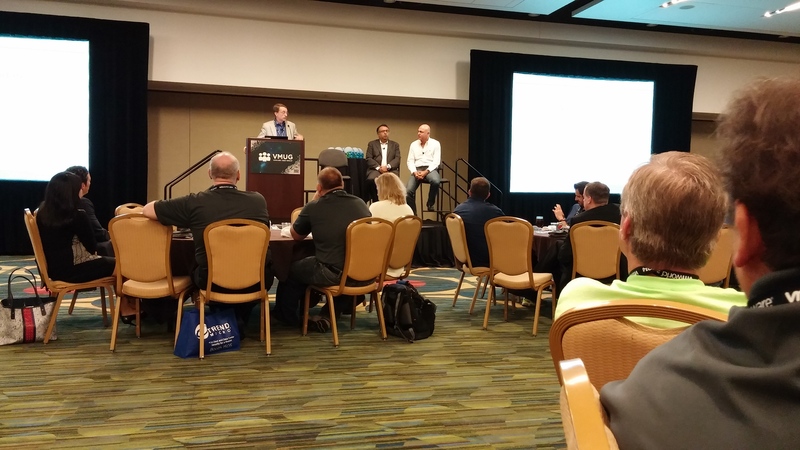 After the VMUG Leader Lunch I attended EUC1744 – What’s New in VMware Workstation. I always attend this session. I use VMware Workstation a lot of love to hear what new features are being added. The other reason I love to attend this session is because you receive a key for the next release of VMware Workstation. There was another session I was scheduled to go to today, but I went back to my room and took a nap. There was no way I was going to be able to go to the VMworld Party if I did not get some rest. 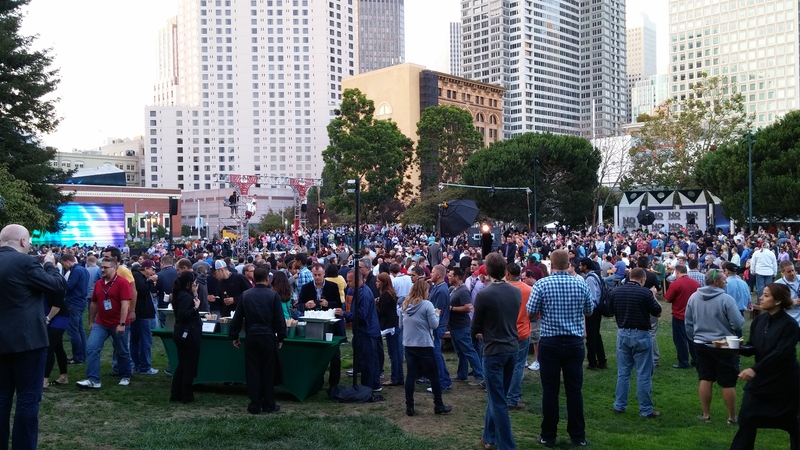 After a good nap I made my way down to Yerba Buena Gardens for the start of the VMworld Party. After seeing a few thousand people waiting in line at the Moscone North entrance, I decided to see if there was another entrance with a few less people. I am glad I did, because there was an entrance on Mission street that only have about 30 people waiting. After getting in I had some food and drinks and watch the entertainment. I did not stay too long because there was nothing really to hand out that long for. The food was not that great. Plus I wanted to be in front of the line when the doors opened for The Back Keys. I was so glad I left Yerba Buena Gardens early because the line to get into see The Back Keys filled up fast. Doors finally opened and everyone rushed to the front of the stage. 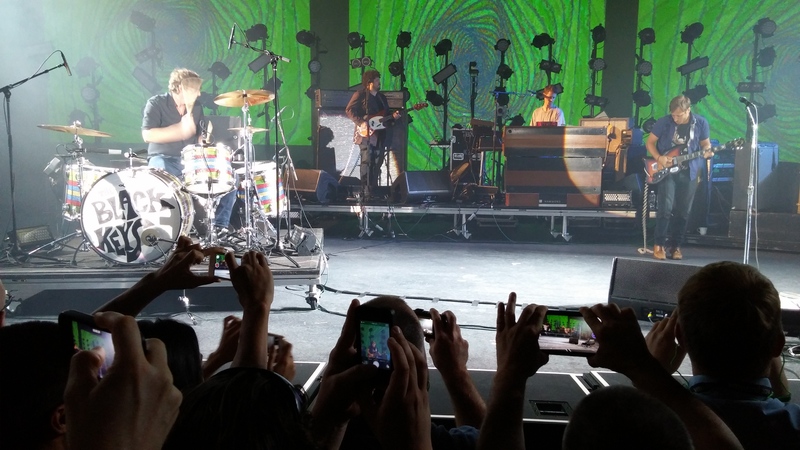 I am not a huge Black Keys fan, but I like going to concerts. I thought they put on a good show. I thought many of there songs sounded a like, but over all it was a good show. After the show I was invited to go out for drinks, but I had to get up early to fly home the next day, so I went back to the hotel room and instantly fell asleep. I started off the morning by watching the General Session from the hang space. Since I knew there will not be any special effects going on, it is always more comfortable watching the session from the hang space. It is also easier to use my tablet in the hang space so I can take good notes. Kevin Ichhpuran from SAP comes on stage and talks about SAP and VMware partner for a mobile environment. He also talks about Pre-integrated solutions that lowers TCO and faster integration time. End User Computer CTO Kit Colbert took the stage next and discussed Project Fargo and how it will allow IT to clone VMs in seconds and will boost speeds 30 times faster than competing container services. VMware is calling this approach “just in time” desktop. Next to the stage was Raghu Raghuram, executive vice president of the Software-Defined Data Center. He discussed VMware’s hyper-converged infrastructure appliance EVO Rail & EVO Rack. The presentation came to a close when Simone Brunozzi, VP and chief technologist for the Hybrid Cloud division demoed vCenter Operations Manager & the new vSphere Web Client. There were a couple other sessions I was scheduled to attend, but I had some scheduling conflicts that prevented me from going. I spent some time in the Hang Space and watched some Community Tech Talks. If you missed any of them, they recorded them. 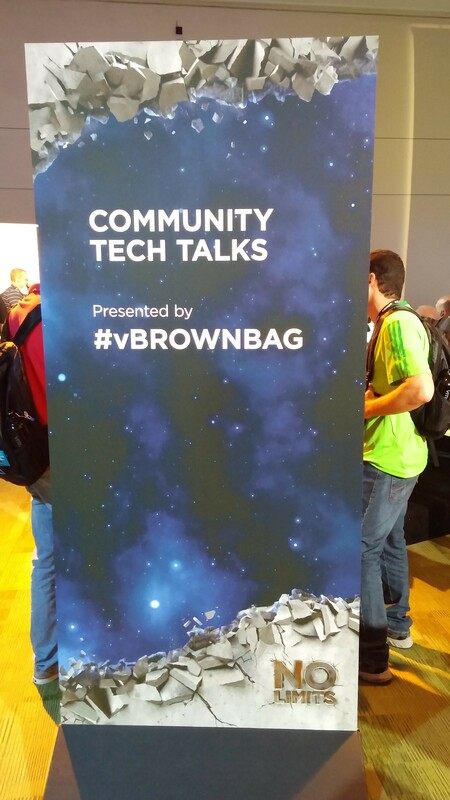 You can watch them on the vBrownbag Youtube page. In the afternoon I went to the solutions exchange to attend the Hall Crawl. There is always good food and free drinks. After the Hall Crawl fellow coworkers & I went to Harris’ The San Francisco Steakhouse . It’s good to getaway from the hustle and bustle and have a good dinner. After dinner we attended the PernixData party. It was at the Minna Gallery. They had some acrobatic women swing around on this pole. In the other room there was someone performing sword swallowing. Plan for the evening was to hop to a couple different parties, but I ended up staying at this one all night. I am glad that I ended up staying because not too long before the party ended I had the opportunity to meet and talk with PernixData CTO Satyam Vaghani. He was a very down to earth guy and easy to talk to. I wish more CEO & CTO’s were at parties they sponsor so they can talk with their customers. It was a very busy day. 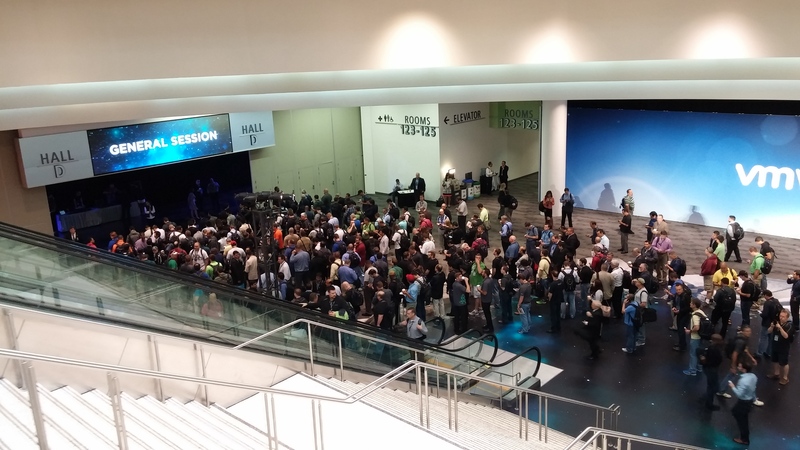 It seemed even busier than yesterday, but I can’t wait for the VMworld party tomorrow night. On Sunday at around 3:20 AM I woke up to my room shaking. 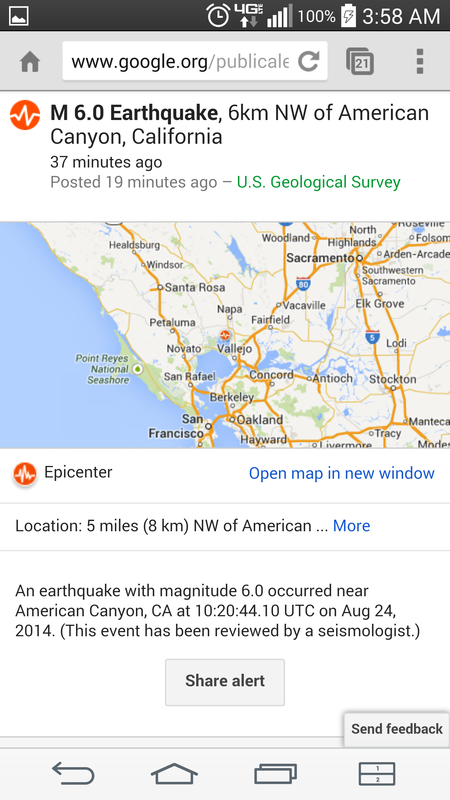 Took me a few minutes to realize what was going on, but there was a 6.1 earthquake. The epicenter was in Sonoma, so there was little damage in San Francisco where I was staying at. After leaving the exam center I went to the VMunderground Opening Acts . There were six panel sessions. It was great to be able to attended them. The moderators did a great job of fueling discussion & answering questions. Last event of the day was the very popular VMunderground Party. This year the party was at the City View in the Metreon. 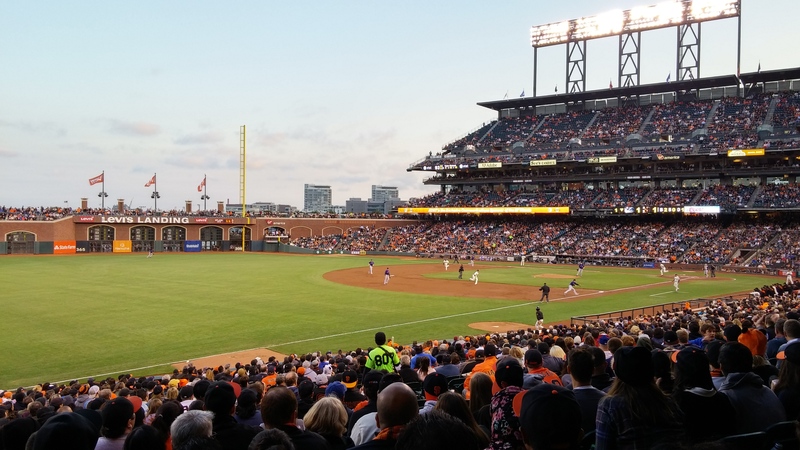 It is the best venue it has been in since VMworld has been in San Francisco. Great view of the city and plenty of room. There was good food & drinks. Even though my exam did not turn out the way I expected, the first day went well. 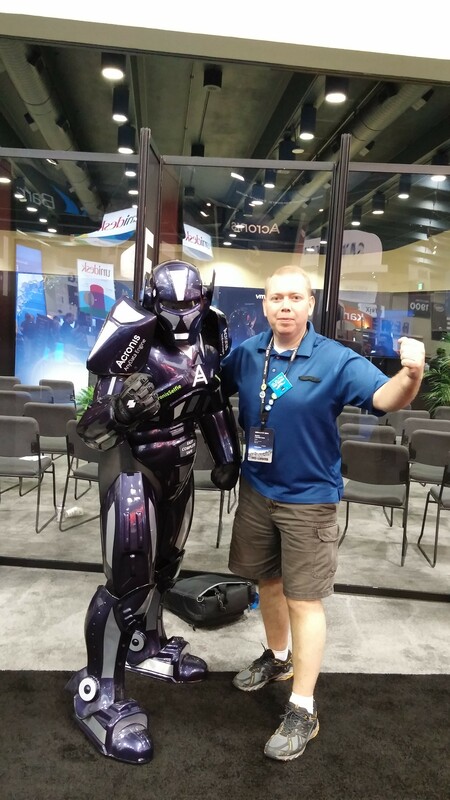 I am looking forward to the rest of the week at VMworld. This will be my 3rd year attending VMworld. I have had a great time the last 2 years and I have learned a lot. The first year I went I tried to attend as many sessions as I could. I packed my whole day with going to sessions. The following year I learned that I really only need to attend sessions that I am going to ask questions at. All the sessions are recorded, so I can watch them later. So this is why I mostly only attend the group discussion sessions. Within the last week the company I work for purchased the vCloud Suite, Log Insight and vSan. Learn more about designing and installing all 3 of these products in a production environment. I have already done a lot of research on all 3 of the products, but it will be nice to be able to talk to people who have implemented them and are using them in a production environment. Learn more about the Automation part of vCAC. I need to be able to automate as much I can within in the vCloud Suite, so I need to learn everything I can about how to automate. Learn more about NSX in a real world environment. The production environment that I work on sounds like it could greatly benefit from NSX and it will be great to talk with experts about it. Hopefully I can stick to this goals and not get distracted from partying too much. 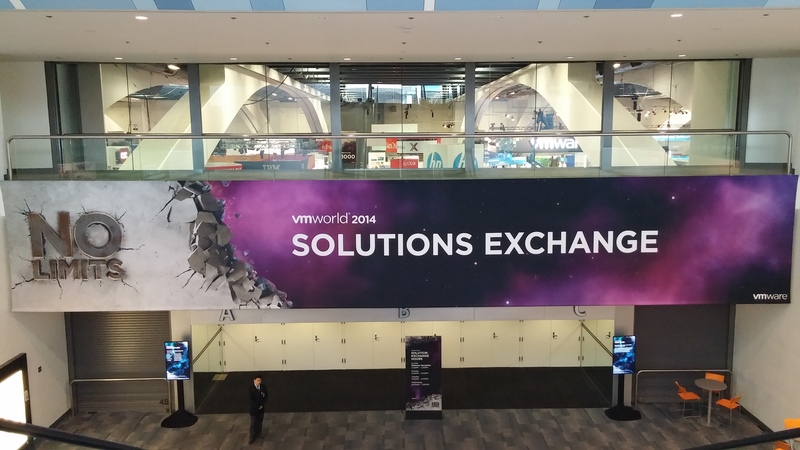 See everyone at VMworld 2014! This week I had to the opportunity to attend the VMware vSphere Design Workshop V5. I don’t get the opportunity to attend training very often, so I was grateful for the opportunity. There is usually no travel budget when training is offered, so I had to take this class online. The instructor for the class was Brett Guarino. Besides being a VCI he is also a consultant. Having an instructor with current operational experience is very helpful. This was his first time teaching the class online. I thought he did a good job of presenting the material and answering questions. I felt he even went above and beyond and helped students fix audio & microphone issues they were having with Adobe connect. Brett had taken and passed the VCAP5-DCD, so he was able to give us some good insight into the exam. It is always a crap shoot on what instructor you are going to get, but I would have no problem taking a class again with Brett as an instructor. The online class uses Adobe Connect to present the class to everyone. If you have never seen or used Adobe Connect before, there is a good demo on YouTube. I feel it is a good online collaboration tool for online class presentation and group discussion. Days before you attend the class you are sent an email so you can connect the environment and make sure your audio & speakers are working. For some reason many students still were not ready the first day and some students could never get their microphone working. I wondered if they were intimidated and used that as an excuse. The class is 5.x so it is supposed to cover all versions of vSphere 5, but I felt there was some material that could have been updated. Most of the information in the class is a few years old, but most of the concepts are still relevant. Everything that is talked about in the class is pre 5.5. Nothing has been updated with 5.5 material. In each lab after we presented our designs and discussed them, we would go over the VMware answer. In some cases it was unclear and ambiguous why VMware chose the design/answer they did. There were no requirements that justified the design/answer they chose. I felt there was too much discussion about features and should have been more discussion about how features should be used in a design. I also wished there was more discussion on design scenarios. If I had to pay for this class on my own, I would have been a little disappointed. I really thought some of the material could have been updated with new more relevant material. When the instructor puts you into groups to work on a labs, there was not as much discussion going on as I thought there should be. Usually 1 or two people talked the most and did most of the design work. I wish the instructor would have asked us to complete the labs on our own and then everyone could present their own design. I think this would have fueled more discussion. Not sure it if would have been the same in a physical class room, but it would be easier too see what there body language is. I feel that it would be easier to collaborate and generate more discussion than the online class. One objective for this class was to validate many things I learned while studying for the VCAP5-DCD. I think I accomplished that goal, but I am not sure if I can say that I am a lot more ready to take the exam after taking this class. I would wait for this class to be updated or wait for V6 if you are thinking about taking this class.